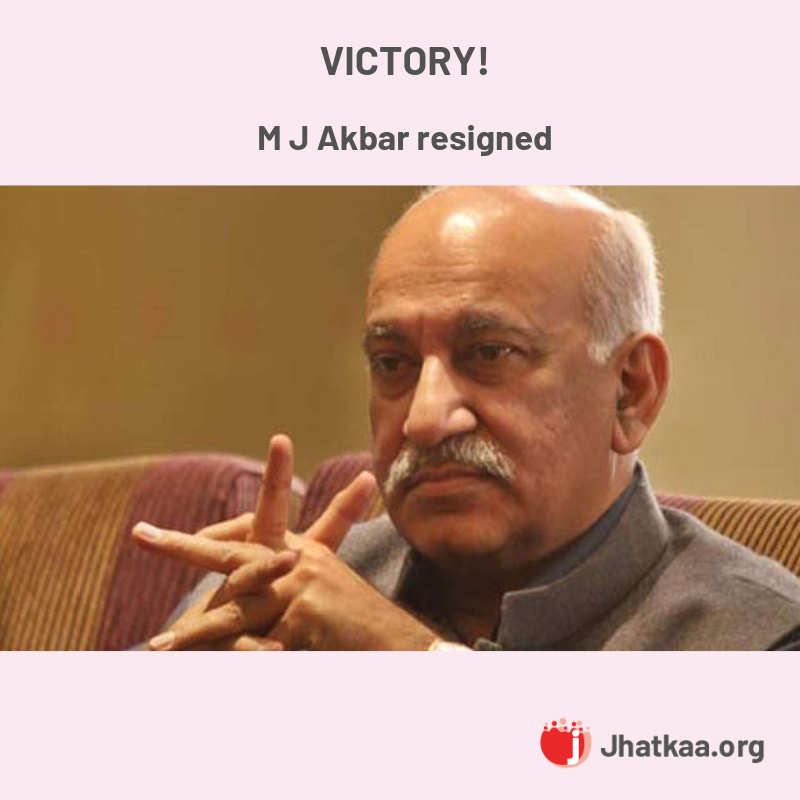 Minister of State for External Affairs MJ Akbar has resigned. This is a huge victory for you, me and the #MeToo movement in India. It’s such a great feeling to know that the voices of the women, who have bravely come forward to share horrific accounts of harassment, are being heard. Thank you for letting the Ministry of External Affairs know that you believe the women who have stepped forward.